Volunteers support Rebuilding Hope SACPC by being available for anyone impacted by sexual assault/abuse 24/7. 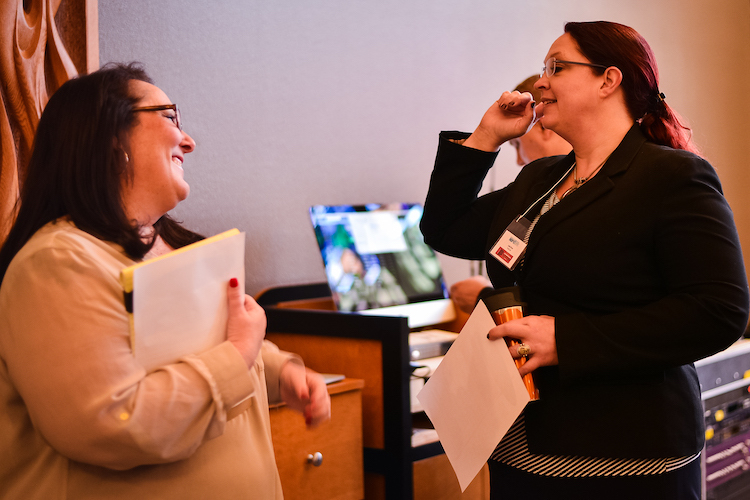 Volunteering at Rebuilding Hope SACPC is a great way of increasing one’s knowledge base regarding sexual assault/abuse issues, developing and improving advocacy skills, and contributing to the community and its members. Volunteers interested in working directly with the community and victims are required to complete a 30+ hour Basic Sexual Assault Awareness Training (BSAAT), where prospective volunteers come to know who and where community resources are and the continuum of care that’s available for victims and the community. Further training is then given within the program of the volunteer’s interest. Volunteers Really Make A Difference! Rebuilding Hope SACPC is a private, non-profit, community-based agency committed to challenging the social dynamics that foster sexual assault/abuse. We strive for the time when our services are no longer needed. Until then, victims can come forward to seek safe, confidential assistance without shame, guilt and or blame. If you or someone you know may be interested in a Nonprofit Administrative and Management volunteer or intern position with Rebuilding Hope SACPC, please download the application below and submit your completed application to our office at 101 E. 26th Street Suite 200 Tacoma, WA 98421 or via email to renae@hopesacpc.org. Thank you! If you or someone you know may be interested in a Nonprofit Social Media volunteer or intern position with Rebuilding Hope SACPC, please download the application below and submit your completed application to our office at 101 E. 26th Street Suite 200 Tacoma, WA 98421 or via email to renae@hopesacpc.org. Thank you! 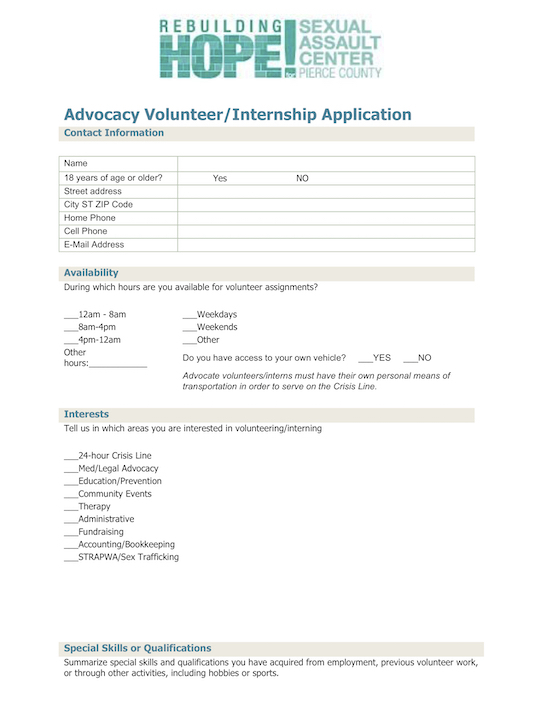 If you or someone you know may be interested in an advocacy volunteer or intern position with Rebuilding Hope SACPC, please download the application below and submit your completed application to our office at 101 E. 26th Street Suite 200 Tacoma, WA 98421 or via email to carlyn@hopesacpc.org. Thank you!